Don't These Kinect Games Sound Awfully Familiar? So the Microsoft Kinect is official, and we've seen a list of exciting new titles making their way to the Xbox 360 motion control device, but where's the innovation? Is Kinect changing the game, or delivering more of the same? USA Today's story (since pulled) on the newly renamed Kinect highlights several of the titles we'll be seeing for the eagerly anticipated device when it launches later this year. Unfortunately, it's a pretty disappointing list. We were expecting some sort of revolution, but then we were expecting a revolution from Nintendo, before they renamed the Revolution to the Wii. Perhaps that explains the similarities between the games. Let's take a look at what's been revealed so far. Kinectimals let's you train and play with 20 different virtual cats. Or perhaps that's Catz. With tigers and lions in the mix, this is hardly Microsoft's version of Nintendogs, but the Petz series from Ubisoft has touched on tigers before. But wait, we're interacting with them on a screen, without use of any sort of controller! That's new and exciting, right? No, that's EyePet, already released in several regions, but retooled for North American release alongside the PlayStation Move. Then there's Kinect Sports, with its boxing, bowling, beach volleyball, track and field, soccer and table tennis. It's Wii Sports, without holding anything. 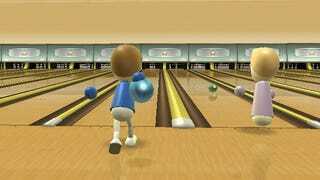 Hell, during the early days of the Wii, Wii Sports often turned into Wii Sports without holding anything, albeit while gaping at your newly cracked television screen and wondering where your Wii remote flew off to. Kinect Adventures contains river rafting and an obstacle course. They probably should have included this with Kinect Sports and called it Kinect Sports Resort. Dance Central from MTV Games brings the So You Think You Can Dance? experience home. Just like Just Dance did, only slightly different. Surely there is some innovation? What about Joy Ride? The avatar-based, co-operation-fueled driving game was a big hit at last year's E3, promising an amazing community experience that would be a free download to all Xbox Live users. It sounded amazing! And now it's a Kinect game, where players hold an imaginary steering wheel in the air, tilting forward and back to accelerate and brake. It sounds like they've taken BigPark's game, integrated the controls they showed off last year for a Natal-powered Burnout, and might be selling it instead of giving it away. I guess that counts as innovating and new. Of course these are just the first games announced for Kinect, and it might not be a complete list. Microsoft could still have some surprises up their sleeves. Something that capitalizes on the promise of Lionhead's Milo, for instance. We're not excusing Sony from creating Wii game clones here. Sports Champion for the PlayStation Move is pretty much Wii Sports Resort. The difference here is we were expecting Wii clones with the Move. Both systems have wands? Bring on the clones! We were expecting more from Kinect. We'll wait and see what E3 has in store for Microsoft's Kinect, but right now we're not that impressed.